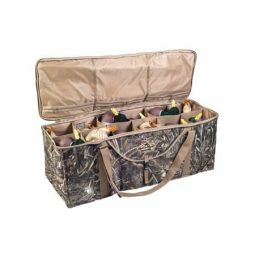 Duck hunting is an outdoor sport enjoyed by men and women across the globe and duck hunting supplies are an important part of this sport. Most waterfowl including ducks are migratory birds spending their summers breeding up north in Michigan, North Dakota, Canada, and other northern locations and in late fall, most birds migrate south spending the winter in Texas, Arkansas, Mexico, Louisiana, South America etc. Duck hunters love the thrill of the hunt and prepare months in advance for the opening day of hunting. They drag out their supplies and make sure all their equipment is in good shape. Some duck hunters keep it very simply using just the basic equipment and tools such as duck decoys, duck calls, camouflage clothing, and a shotgun. The supplies of other hunters sometimes includes duck hunting jon boats and trained duck hunting dogs. One of the most important supplies is the duck gun. In Canada and the United States, the most common duck guns are usually semi-automatic shotguns or pump action shotguns although some duck hunters do prefer break action hunting guns such as over-under and side-by-side guns. Many western European countries, Canada, United States, France, and the United Kingdom banned toxic shot such as lead and now use steel shot, which is a cheaper but less effective alternative. Because lead is denser than steel, the range for steel shot, which is lighter in weight, is not as long. Duck hunters must get closer to the ducks to kill them. Another highly important supply to have is camouflage clothing. During duck season, which is usually in the fall and winter months, the weather can be extremely cold and harsh. For duck hunters, their clothing needs to be lightweight, warm and well insulated, waterproof, and allow them to move freely. Most duck hunters are in a boat, hunt over water, hide in a duck blind, or even stand in water. Quality waterproof clothing is crucial for both the safety and comfort of a hunter, so be sure they are part of your duck hunting supplies. Waders, which are waterproof pants with attached boots, are necessary for any hunter standing in shallow or deeper water. Warm, well-insulated, camouflaged clothing is also necessary, as hunting for duck, depending on your location, is often a very cold, wet sport. Duck have extremely good vision so without camouflage clothing, the ducks will definitely see you. Quality clothing is definitely an important part of any hunters duck hunting supplies.